Medical Charm bracelet with 5mm Swarovski crystals, pewter hearts & daisy's too... sure to make her smile! 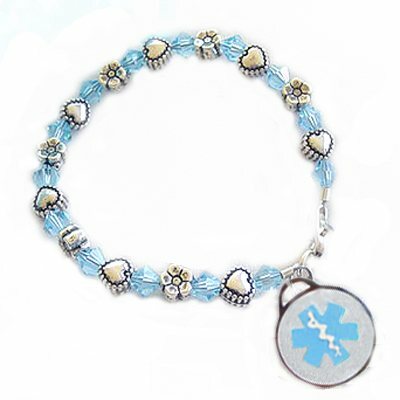 Price includes: One stainless round medical charm with laser engraving, beaded bracelet with lobster clasp closure. Wrist Measurement + 1 Inch = Correct beaded bracelet size.